Hind Computer Services Ltd was founded in 1997, by Neil Hind, a former consultant with Cap Gemini Ernst & Young. 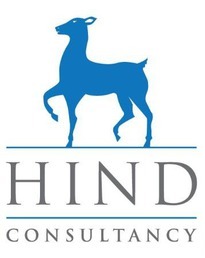 It renamed to Hind Consultancy Services Ltd in 2008 to reflect the change in focus for the company. The company began focusing on the de-regulating Energy market assisting a number of existing and new companies to be able to compete in the newly opened markets. To assist with this goal the company offered specialist assistance in customer services, web self service and increased automation of processes. The increased take up in outsourcing, business process management and use of the internet in the early part of the decade gave the company new opportunities in these areas that is seized with tremendous success. In recent times the company has been focusing on the ever changing local government market specialising in the use of Workflow, Business Process Management, Procurement and improving efficiency within the sector. As such we have created an excellent reputation in the public sector for the quality and innovation of our work. In our latest work with the Regional Improvement & Efficiency Partnerships. Regional Centres of Excellence, ODPMs National Projects, Improvement and Development Agency and other regional government bodies, we have worked with many local authorities and national organisations, covering a wide range of initiatives. Originally based in South Manchester the company is now based in North Yorkshire but operates on a national level.